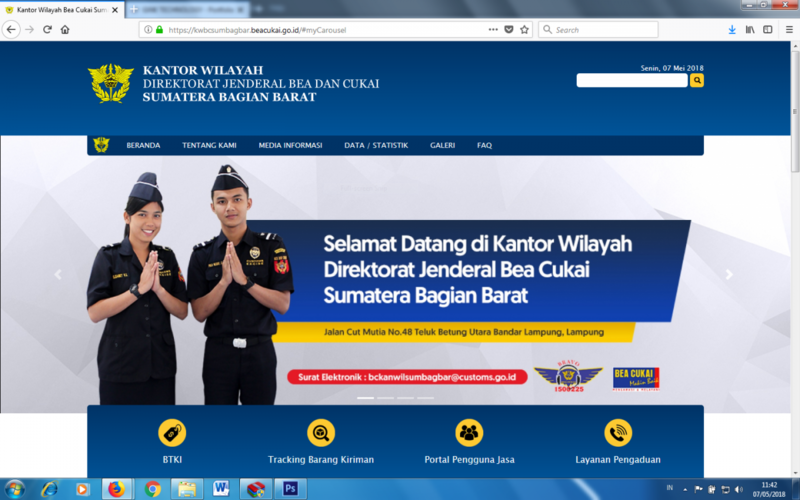 CUSTOMS (Customs Agency) anywhere in the world is an organization that is very essential for a country, as well as the Directorate General of Customs and Excise (Indonesian Customs Agencies) is an agency that has a significant role in a country. Becoming the World's Leading Customs and Excise Institution. DJBC's vision reflects DJBC's highest ideals better through challenging and continually preserved targeting goals in the future. 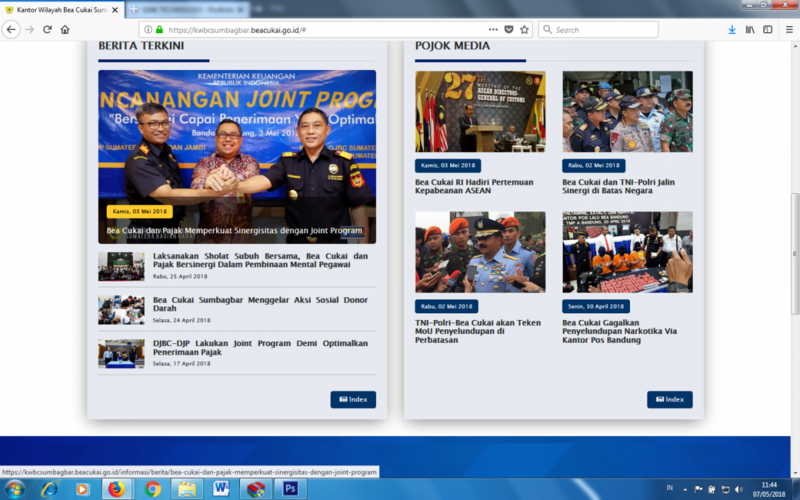 DJBC services are spread across Indonesia through its 16 Regional Office. 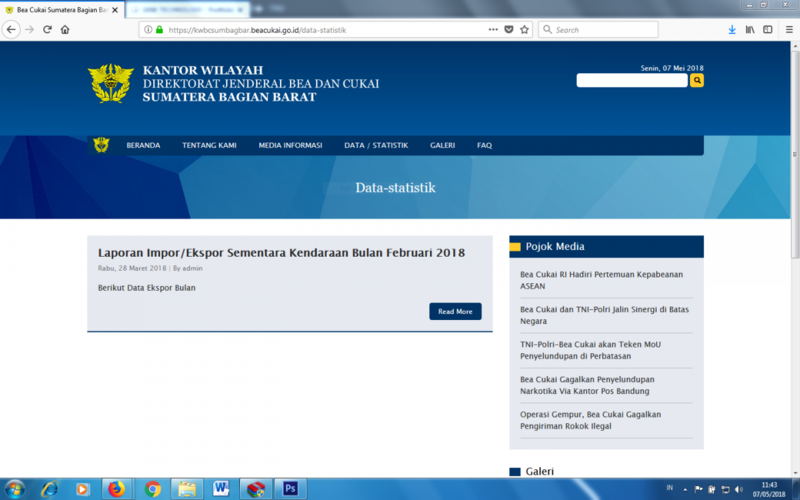 One of them is the West Sumatera Regional Office that in cooperation with GiNK Technology to create a website that facilitates the public in accessing information about customs and excise activities at the Regional Office of West Sumatera.